Mrs Rhymer, who was 97 years of age, was the wife of centenarian William I. Rhymer. The couple gathered attention over the years for being the oldest couple alive in the Territory, and the longest married. They were married for approximately 76 years, having tied the knot on September 25, 1940 at Road Town Methodist Church. Mrs Rhymer, an indigenous Virgin Islander, in her union with her husband William, produced ten children: Allan, Dennis, Joseph, Henry, Joyce, Shirley, William Jr, Elroy, Janet and Violet. 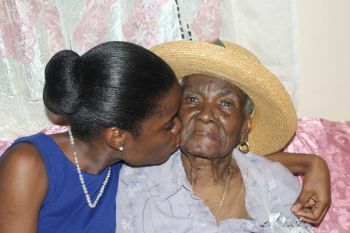 She is also survived by many grandchildren and great grandchildren. Mrs Rhymer had celebrated her 97th birthday on November 5, 2016. 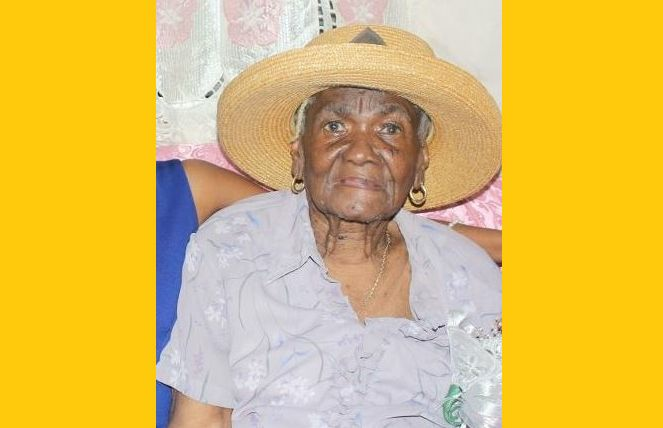 The management and staff of Virgin Islands News Online extend condolences to the relatives and friends of Mrs Josephine Rhymer. My condolences to Mr. Rhymer and family. May she rest in sweet peace. Caring, sharing, hard working. Will call the people in the Cane Garden Bay/Ross Hill/Ballast Bay areas to partake of her produce from her plantation. Condolences to all who knew and loved this good lady.